As part of our Place weekend, we welcome Appetite Book Club, who will be based in the foyer of Firstsite. 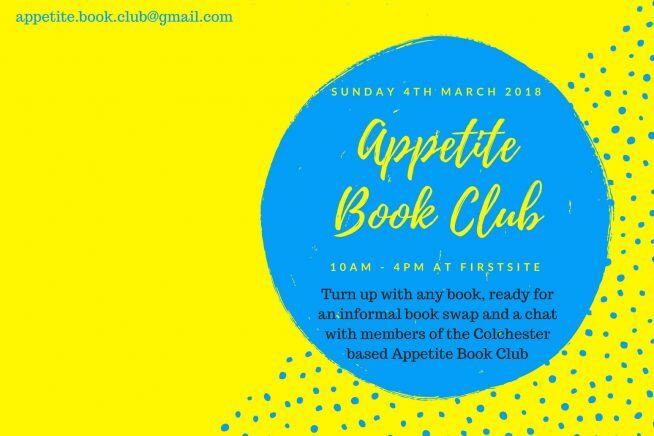 Turn up with any book, ready for an informal book swap and a chat with members of the Colchester based Appetite Book Club. Hearing Loop: Firstsite does not have a hearing loop system in this room.